Katie Conroy and I decided to take a Kundalini class and compare notes. She loved it, I didn’t. Our stories below! One of my intentions with Atlanta Yoga Scene was to encourage you to try new styles. In my tenure, I have attended lots of yoga studios, experiencing everything from standard vinyasa flow, to Purna yoga, restorative yoga, Anusara, metal yoga, power yoga, Ashtanga yoga, and everything in between. I figured, at some point, that I should drop in to a Kundalini class too. I had also heard of the Kundalini energy before. 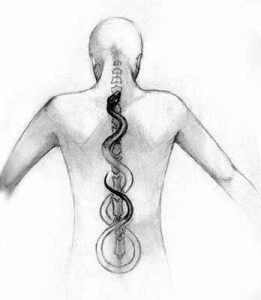 It’s based on an idea that energy is coiled up like a snake at the base of your spine and that Kundalini yoga can tap into it and encourage the energy to rise up through the chakras, leading to enlightenment. With all this in mind, I headed over to a Kundalini class. Long story short: I didn’t care for it…at all. My distaste mostly centers around the fact that I did enough Breath of Fire that I was wondering where pranayama ended and hyperventilation began. A combined hour of Breath of Fire doesn’t make me feel centered or rejuvenated–rather, I felt panicky and frustrated. Further, I didn’t feel like I did anything. We were on the ground for the majority of the time, making me feel even less energized. While it wasn’t exactly what I was hoping for (where’s the ecstatic ranting, by the way?) I feel even more connection to Hatha styles now. I’m happy to get back to the ‘ol downward facing dog–and boy am I thrilled about ujayii breath! When I saw Kundalini yoga on the Peachtree Yoga Center schedule there was a deep mystery I wanted to unfold. The description said, “combines active yoga postures, energy, chakra work, visualization, chanting, and breath work.” I thought, “I HAVE to try this class!” Having no idea what to expect, I eagerly opened my heart and energy to the experience and I was ready for the ride. We began the class with mediation and a peaceful chant, which was new to me, but Siri guided us through it with ease and her positive aura. Then, we moved into several yoga poses paired with breath of fire. This swift and firm breathing heat up my body quickly, while Suri guided us with her words through poses working on each chakra. I opened up to immerse the feelings of the energy sources in my body, and realized I had a special experience with each pose. The feelings started with warmth in the heart, and then moved into a feeling of slight lightheadedness, next I experienced an emotional release and then finally I eased into a grounded and balanced state of mind. The rest of the class entailed stretching, breathing, meditation and I must say it was the best savasana I’ve had in a long time. The class took me away and left me in a place of relaxation, tranquility and well-being. On a daily basis, I prefer a class with more flow and movement, but I would like Kundalini to be in my practice about once a month to realign my balance and energy. It was an awesome way to feel what happens in your body when your equilibrium is on track. Yes,i do kundalini yoga. For some, it might seem “kinda looney” but not me. I don’t do any weird breathing or panting. My technique involves certain breathing techniques & lots of visualizations, and no physical asanas, just strict meditation. Kundalini came first in my family. My mother & father met at a kundalini yoga retreat in the 60’s, so my brother, sister & i have been doing it since we were kids. It wasn’t until i became a teenager that i became more interested in Hatha Yoga. 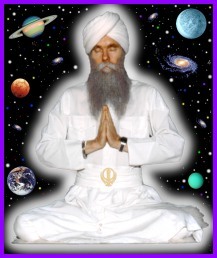 One thing i notice, is that some people grow a super huge ego when doing kundalini. I do believe that people have to be careful & learn kundalini from a valid source. Playing with all that life force energy can be dangerous. It’s certainly not for everyone, but i myself…could not live without it. It opens your eyes much wider than people expect it to.